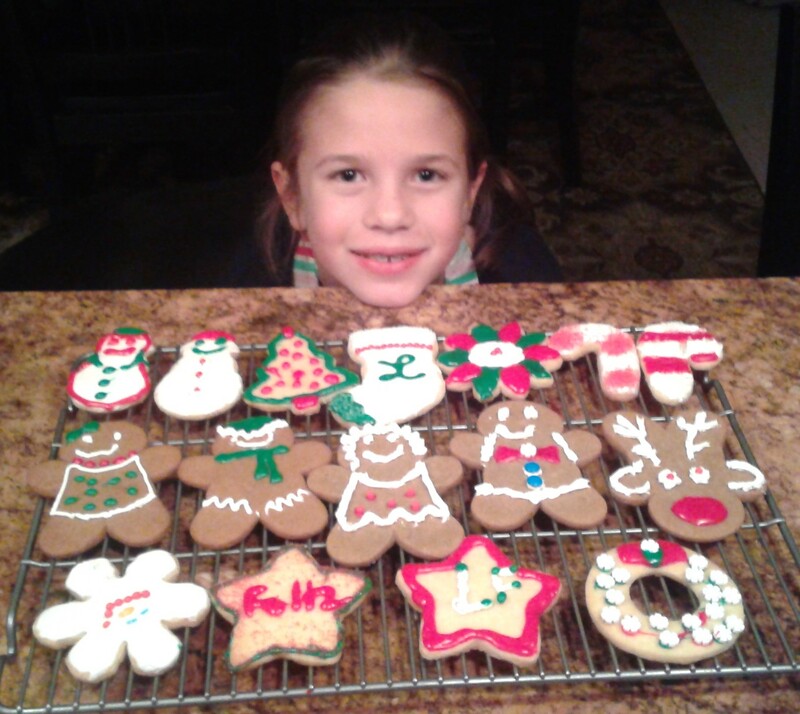 Check out these Christmas cookie ideas that were created by my great-niece, Lauren, over the weekend. Aren't they adorable? I've lived in Australia for about 20 years now and have only been home to the USA for Christmas once in all that time. This year I had some family obligations that brought me back for a couple of months. One of the blessings has been the opportunity to spend some time with my sister and her family over the Christmas season. We've been having a great time! Between the shopping, decorating, and baking, it has been so much fun. 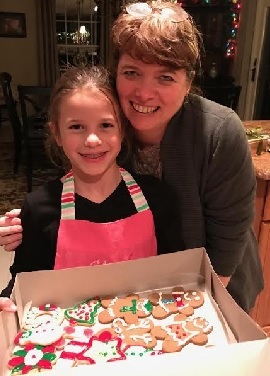 I'm going to be adding a few different pages this week of some easy Christmas cookies that Debbie and I have made and I thought you would enjoy them too. I have to be honest, when we made these easy Christmas cookies this weekend, we cheated a bit! We didn't work from scratch. My sister, Debbie, has only one granddaughter, Lauren (my great-niece). 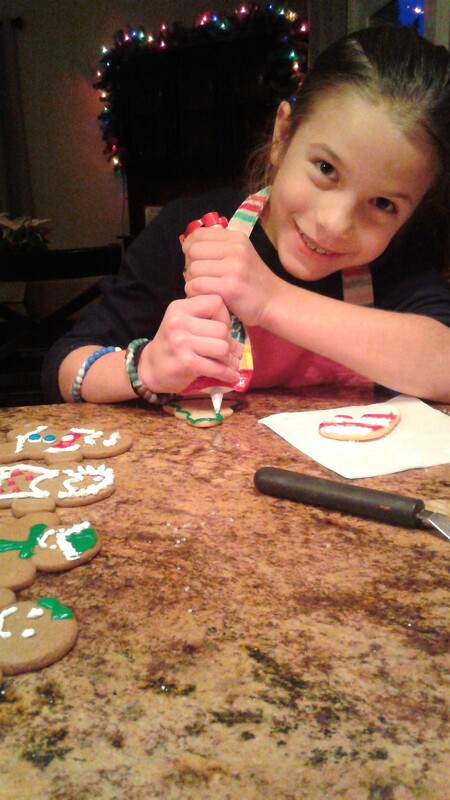 She made plans to pick her up from school and have grandma/granddaughter time making Christmas cookies. I got to horn in on the fun since I was staying with Debbie - lucky me! Because of time restraints, we opted for the pre-packaged cookie mixes that you can pick up these days at the grocery store. We made a batch of both sugar cookies and gingerbread cookies. Okay, okay, they are definitely not as tasty as homemade, but we were more interested in the fun of baking and decorating than the absolute homemade taste quality. They were perfect on that score! We made up a batch of royal icing for the white frosting and then just used the pre-made cookie icing that you can buy in those frosting bags with the tips for the other colors, along with colored sugar, colored jimmies, and various other "edible decor" sprinkles. We also ended up making decorated sugar cookies shaped like Christmas trees, wreaths, snowmen, candy canes, stars, and more. Just look at some of these cute cookies! By the time we were done baking and decorating (and doing a fair bit of taste testing along the way), Lauren and I were both sugared up and engaged in an epic towel fight battle. Of course, as I promised her, age and experience won out and I had her thoroughly defeated and rolling on the floor with laughter. All in all, it made for some wonderful Christmas memories for me, and hopefully for Lauren too. Feel free to share your own Christmas cookie ideas and stories. Have a Christmas Cookie Idea to Share? 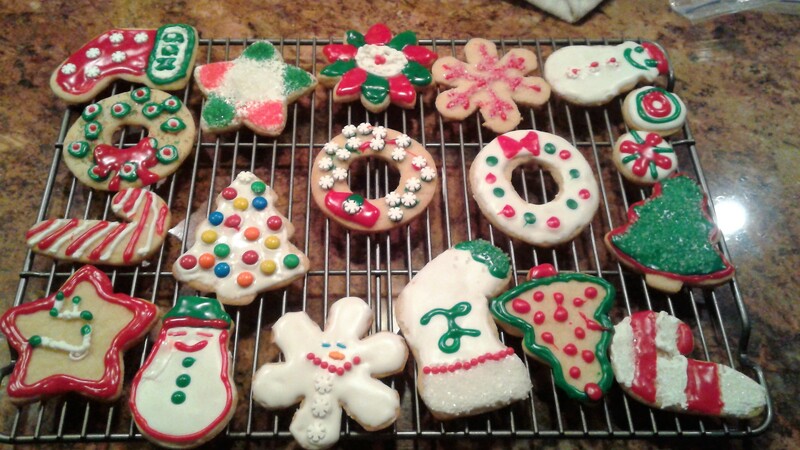 Do you have a family tradition that includes a special kind of Christmas cookie? Perhaps you are starting your own new tradition with a recipe you just love.